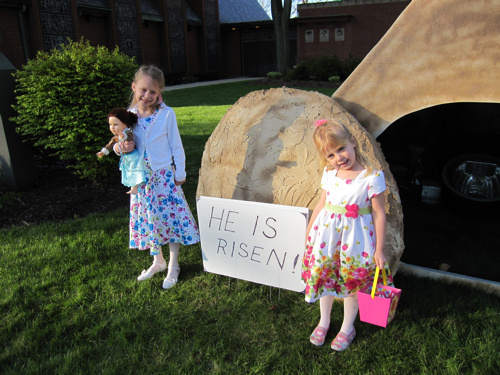 Last Saturday, we took the girls to the egg hunt at our church, and they had fun running around and filling their baskets with eggs. Candy! The Easter Bunny! Plastic eggs! All of these things are a part of Easter in the United States. The Easter Bunny is okay, And Easter eggs are fun. It’s all about God’s Son. And oh, isn’t that true? 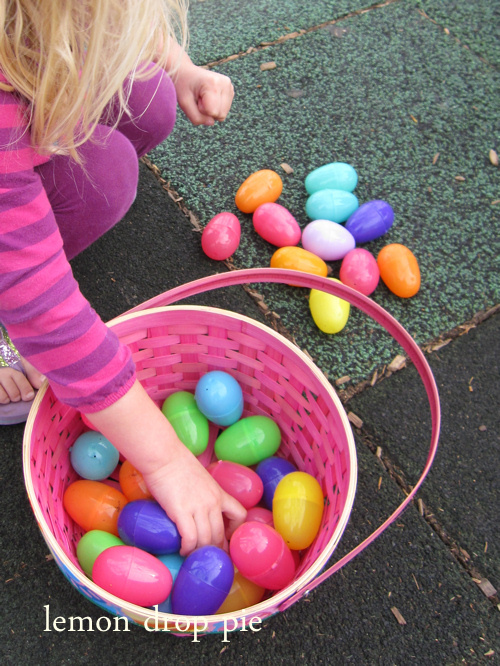 I want to have fun with my daughters at Easter, but it’s not all about the Easter Bunny. 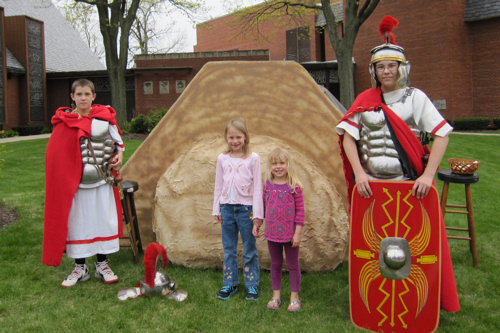 In front of our church this weekend was something new–a “tomb,” with some Roman soldiers guarding the entrance. The soldiers (members of our church) had two hour shifts over the weekend, and there was quite a wide variety of responses. Some younger people yelled rude things at them from the car. Later that night, a kind stranger brought the cold soldiers hot chocolate. How cute I like it, the tomb was really cool. I love the empty tomb! This is so great, like the Easter version of the live Nativity. I wish more churches would do this! He is risen indeed! What a beautiful idea your church had with that. I love that they guarded the tomb. Sounds like the girls had a fun Easter. Love their pretty Easter dresses. oh, that's cool! It gives me chills! I love the visual and how the tomb was empty. Alleluia indeed!